View Commands to which they've been given access in the Commands tab. Run Commands to which they've been given access in the Commands tab. View the results of commands to which they've been given access in the Commands tab. 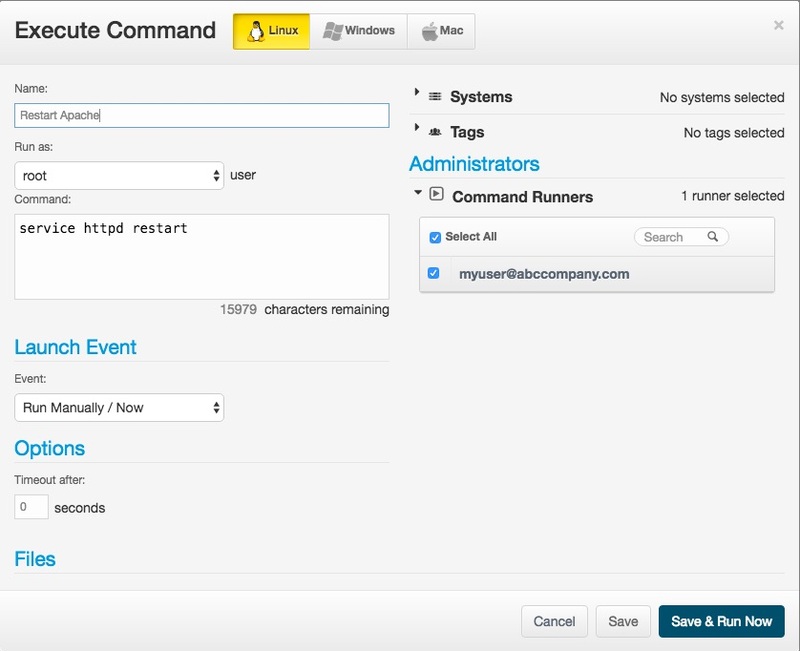 Command Runner users cannot edit commands, or their schedules, nor can they access any other part of JumpCloud. The Command Runner role is to allow a senior system administrator to prepare any number of automated commands, and then be able to delegate the authority to run that command to a person who may have more limited technical knowledge or ability. 1. 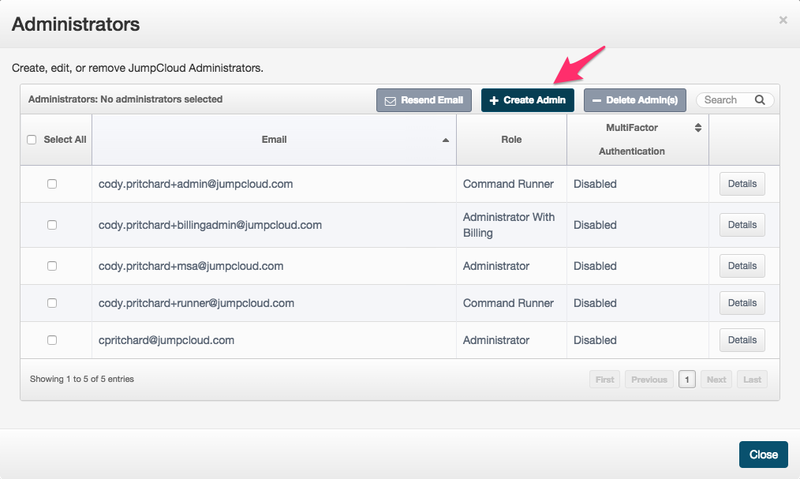 To create a Command Runner user, login to your JumpCloud account as an Administrator. 2. Select the upper-right "email" menu, and go to the "Administrators..." menu item. 4. Enter the email of the user, and select "Command Runner" or "Command Runner with Billing" (billing access allows a user to enter new credit cards in JumpCloud, and so you can create a user who is not associated with any command, who can only update the credit card information on your account). 5. The user "myuser@abccompany.com" will receive a verification email. When they click the "Verify" link, they'll be able to set a password for their Command Runner account. If you have enabled MultiFactor Authentication for the user, they will need to configure Google Authenticator on their smartphone with the QR code provided during verification. 3. Select the Command Runner users to associate with the command. When the Command Runner user enters the JumpCloud console, she will be able to see the commands you've associated her with, as well as run them and see the results of the commands.